Firstly I would like to dedicate this page to my amazing wife Helen who has been so understanding and supportive whilst I have been on my black belt journey. Without her support it would have been so much harder. I graded for my blackbelt first dan with my son Leon on the 28/11/14. The big day finally arrived and we were both ready and raring to go. My friends and family have also been so supportive and understand how much this meant to Leon and I. Before my Dad passed away, I promised him I would train as hard as physically possible always giving 110% and take my black belt with Leon on the same day. All the years, hours of effort and commitment have definitely paid off and we have both thoroughly enjoyed our amazing journey which we are still on. Leon and I have now been presented with our certificates and have our belts see photos in my gallery. I cant wait to open my own school in Essex in the new year. I first had a taste of karate around 28 years ago when I was 15 years old. The style I was learning at the time was Wado-Ryu. I went for around 6 months but being well into fishing at the time also snooker mad I stupidly gave up. I also tried my hand at boxing for around 8 months when I was about 18 but being very light at the time and only weighing around 8 stone back then it was not good trying to fight much heavier opponents. How times change. After living in Essex most of my life, my ex-wife and I moved up to Dereham in Norfolk around 8 years ago with our 2 children, Leon who is now 11 and Zara 8. It was around Dec a good few years back one Saturday that I was walking through Dereham town centre with my son Leon when he spotted some guys in karate uniforms handing out leaflets. Being curious my son wanted to find out what they were doing. We crossed the road and there was around 3-4 guys handing out Soo Bahk Do leaflets. This is where I met Master Paul Salter for the first time, the instructor at Salter's Family Karate and Soo Bahk Do Academy. After a brief chat and quick demo I was hoping to get my son signed up straight away. One of the guys suggested I bring along some tracksuit bottoms and t-shirt to also give it a go. How glad I was that I gave it a try. I was like a duck to water. 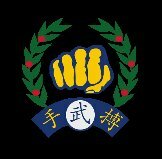 A very friendly environment and to be able to train at the same time as my son and take our gradings at the same time has really been a godsend. We do normally train very hard 4-5 days a week and also at home so put a massive amount of effort in but we also get so much back in return through our training. Since we joined we have managed to not miss a single grading due to the amount of training we have been doing so doing very well. As my Dad use to always say. "You only get out of something what you put in". Very true words. Being older now I love learning the forms and new moves and the stretching to try and keep flexible. Soo Bahk Do really has changed my life and my children's for the better. Since joining I have lost around 3 stone and feel fitter, healthier and stronger now than I ever have been. Flexibility has been vastly improved as well as concentration. I have even managed to get my six pack back at the age of 43. Soo Bahk Do really helps me keep focused both mentally and physically when training and in every day life. My 8 year old daughter Zara also joined over a year and a half ago and recently took her fourth grading for her green belt and absolutely loves it. My Dad Alan Hall is a massive driving force behind me and always will be, but sadly he passed away on 30-10-13 after a long battle with cancer. He is by far the strongest person I have ever known. Dad previously came to the gradings and training sessions when possible and enjoyed watching. He knew that although I initially gave up karate all those years back, there will be no chance of me ever giving up this time. I am currently working on opening up my own class as I have recently relocated back to Essex. Watch this space. I just want to be the best I can possibly be whilst helping others along the way. If you want to be good at anything you have to be commited and dedicated in order to get the most out of what you are trying to achieve. If something doesn't challenge you, it doesn't change you. Make it happen.